Greetings from Cofradia, Mexico! 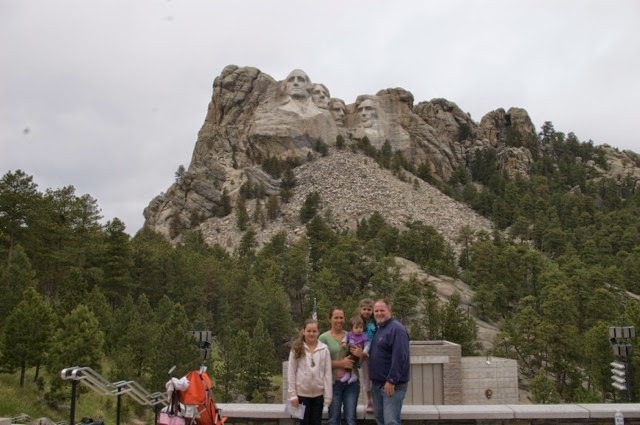 We have been reminiscing of our trip last year up through California and moving north-east then west visiting friends and interesting locations and finally arriving at our last destination in Washington at my parents’ house on July 3. It’s fun to go back and look at some of the pictures. We will not be making any trips this summer, but look forward to the next opportunity the Lord gives us to visit friends and family. We are finished with our home school classes for the year and the local school will be out in a couple of weeks. Rebecka graduates from 6th grade at the local school and Emma will be moving into 3rd grade in September. Some great things have happened this month as you will read below. In addition to those things, we helped a local Pastor in an open-air evangelism outreach in a town called El Arrayan (not to be confused with “Los Arrayanes” near Cofradia). 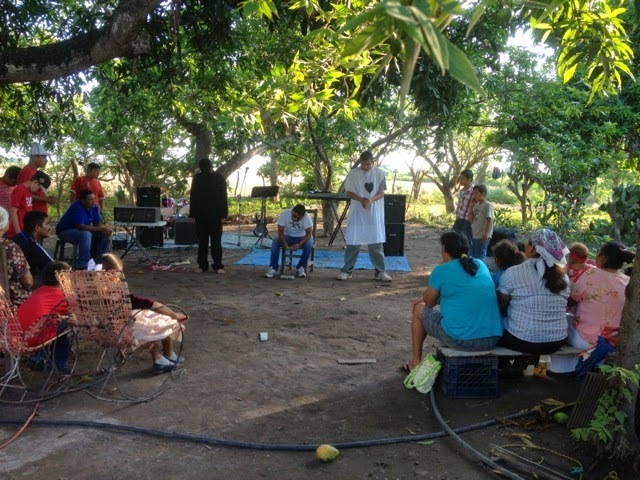 We took some band members, the drama team, some intercessors, and Pastor Goyo preached. It was a great time to meet the brothers in this town and give any encouragement we could. They do not have a pastor nor a place to meet. It was great to come together with another pastor and help him in his vision to reach this town. Something we look forward to doing as a ministry for many years to come! Continued healing for Mackenzie. She has improved quite a bit. Her face looks really good and shows no signs of a burn. Her chest and stomach have some discoloration, but there are no scars! Thank you so much for keeping Mackenzie in your prayers. We are so grateful for the hundreds of people who have expressed their sympathy and let us know they are praying. We have been blessed by all of you! Cofradia Bible School Students The students finished their final exams for the Spring Quarter. It was a big challenge for all of them to write reports on the computer. Most of them have never done that before and I was so proud of everyone for sticking to it and allowing themselves to grow. They all did a great job! They will be starting the Summer Quarter classes on July 1st as they finish up the final Bible Survey class and study Biblical Counseling. Religious Association. We had an excellent meeting with the Pastor who was so graciously willing to orientate us on a process that he finished a few years ago. It turns out that it seems to be easier, less expensive, and quicker than I had been told and thought. We are excited about continuing to move forward with this as the Pastor has given us contact information of a believer in Mexico City who works in this area and is willing to help us. Elder’s Retreat. We had a great time! 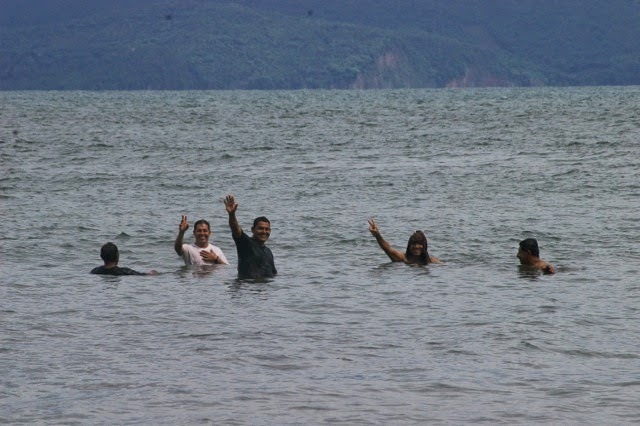 A highly needed retreat for us all as Pastor Goyo cemented a strong foundation in the team. Read here for details and see pictures. Help. We were encouraged by many of you who showed your support for our situation. Thank you for your continued prayers for wisdom and provision. Local School. I do not regret “venting” with you last month as this is an area in this town (and many small towns like it) that needs help. Whether or not I can do something about it, I don’t know. But, I will continue to pray for the young lives who grow up here so they can receive a good education. Cofradia’s Short-Term Missions Manual explains more about what our mission is about. 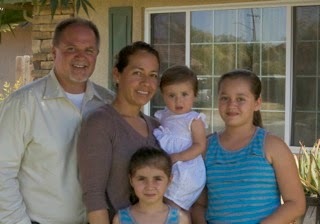 Cofradia Bible School Students for continued growth in their lives as they begin the 8-week Summer Quarter on July 1. Religious Association. Continued wisdom and understanding as we fill out paperwork and make decisions on placing people in certain “positions”. Help. Thank you for your continued prayers for wisdom and provision. Local School. School gets out the second week of July. Rebecka will be graduating on July 15 from 6th grade and Emma will be moving into 3rd grade next September. 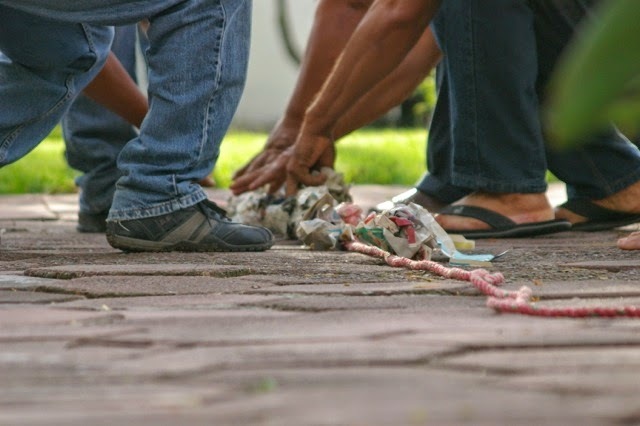 Kids’ Club with a YWAM team from Mazatlan (July 20-27). We’ll also be ministering in the close-by Indigenous Communities. Thank you so much for joining us in prayer! Centro Cristiano Cofradia had it's first Elder's Retreat just recently. Not all were able to attend, but those who did were blessed and refreshed as it was something new for most. 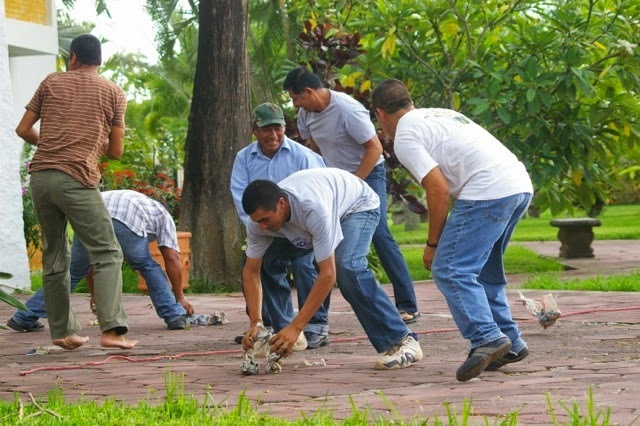 Pastor Goyo's desire was to give a concrete foundation for the men to work on and talk about some things he expects of them. He broke his teachings down into three different sections: 1) Our relationship with God, 2) Understanding and Embracing the Church's vision, and 3) Being Faithful. 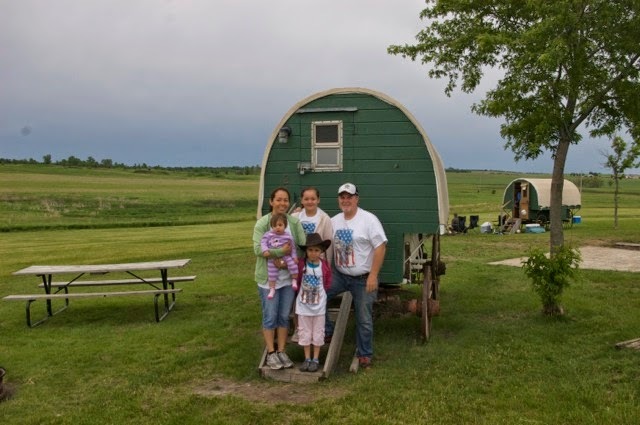 There were other aspects to the retreat that helped solidify the foundation such as interpersonal relationship activities and expressing needs they see and how they can do things better. The retreat was concluded with a meal and free time at the beach! First meeting at the ruins of an 18th Century church. 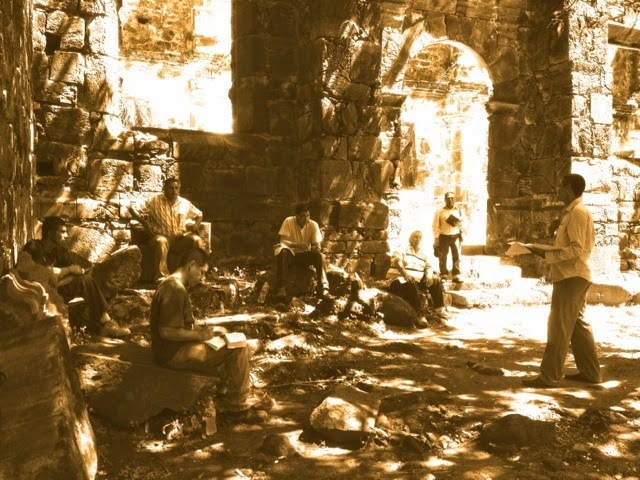 Amidst the ruins of an old 18th century church on a high hill overlooking San Blas, Nayarit, was the setting for Pastor Goyo's first teaching. As the surroundings gave a fitting atmosphere, he talked about when Nehemiah returned to Jerusalem and found the walls of the city in ruins and applied it to the lives of the Elders as a way to examine themselves and have opportunity for repentance if there were any issues that needed to be dealt with before moving on with the retreat. He also made mention that a purpose as an Elder is to make sure that not only one's life is not it ruins, but the church as well. After eating lunch in a downtown restaurant, everyone returned to the hotel. Pastor Goyo continued with the next couple of teachings inside our room/apartment that was conditioned for such a purpose with a living room, dining room, a kitchenette, and AC! His focus was for the Elders to understand the purpose for the church, where it's going, and making that specific vision their very own. Being Faithful is also a vital character as an Elder as he needs to be faithful to God, his wife, family, and dependable to the Pastor and church. Pastor Goyo did an excellent job of communicating these three essential points. 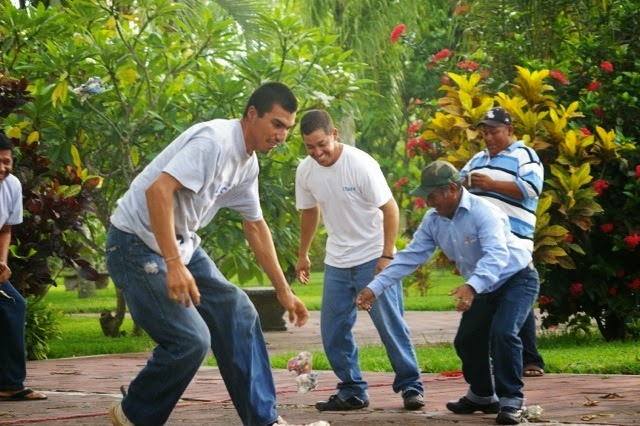 The activities helped strengthen individual relationships as well as being a team. 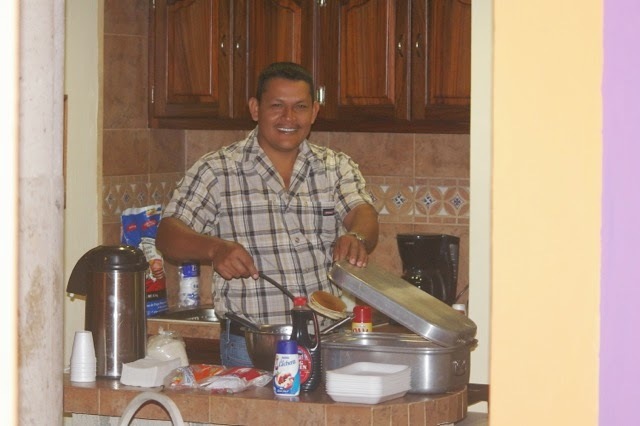 Pastor Luis made dinner that evening and breakfast the next morning! In the past month, the Men’s group finished their Group Study of the book, Wisdom for Fathers. During the last meeting, they went to Puerta Colorada (a nearby town) for evangelism in the plaza. They continue to meet for prayer in the mornings at 5am and in the evenings at 6pm M-Sa. The Women have started to meet for prayer as well at 9am M-F. 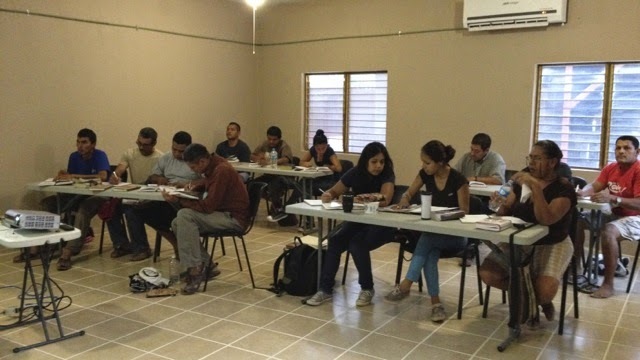 The Bible School students are finishing up their final exams of the Spring Quarter and we also began to move forward in making plans for a Religious Association in Mexico. Continued healing for Mackenzie. She is continuing to do well with minimal markings on her chest and stomach. Cofradia Bible School Students As I just mentioned, the students are finishing up the Spring Quarter and I’ll be working on grading final exams pretty soon! Continued healing for Mackenzie. We are still praying for no scars. Cofradia Bible School Students for encouragement as they take on tasks they aren’t used to (writing reports, using a computer, etc.). We will be starting the Summer Quarter on July 1. Many of them have been a little overwhelmed with their workloads, but it’s great to see so many talk about the important things they’re learning from the Bible and from Church History. Religious Association. Pastor Goyo and I will be meeting with another Pastor this week for guidance on this issue. This is an expensive, yet high priority need for our ministry here in order to protect our pastors and the properties. 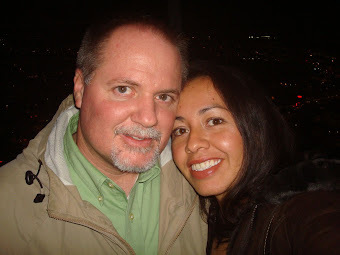 Our goal is to be a legally registered Mexican ministry. Please pray for guidance and that the paperwork will be done quickly and correctly. Elder’s Retreat. Pastor Goyo and I have been planning an overnight retreat for the Elders of the church for the purpose of knitting the team together and helping everyone to better understand the church’s vision and their responsibilities as Elders. This is part of what we do as we “Raise Up Leaders in Rural Mexico.” It is looking to be an excellent time! Many of the men have not participated in a retreat like this which is very similar to the Leadership Retreats we did with our Student Ministry a few years ago (here's a link to one of them). Help. I have been overwhelmed with things to do and this is the “down” season in this ministry. Neither Geña and I nor the Ministry Base has the finances to hire people to help with certain projects. We have been depending on volunteers, yet they also need to put food on the table and we don’t want to overload the few that are willing to help. Please pray that the Lord would guide us to make wise decisions with these “back stage” issues whether it’s added missionary staff, selling vehicles/properties, hiring workers in faith, or..? There are so many things to do here as we continue to raise up leaders. Jesus said, “the harvest is plentiful, but the workers are few.” We are asking the Lord of the Harvest to send out workers. Before we know it, Christ will come back to take us home. Maybe in our lifetime, maybe not. But if it is, there’s still a lot of work to be done in little time! Local School. It has been bothering me a lot lately that we send our children to a school that has teachers that do the very minimum (less than required). Lately, there’s been movies and playtime during class in both Rebecka and Emma’s classes. We’re proud of Rebecka for walking out of class when the teacher put a horror movie on and left the students alone so he could go and...?? I’ve talked with the Director about the lack of interest I see in the teachers, especially in teaching math, but it feels like I have no voice. Please pray as the President of Mexico is attempting an “Education Reformation” that the interest in the need to educate children will finally leak down to the apparent “insignificant” villages of Mexico.